Really enjoyed the stay. All the staff were very helpful and friendly and particular thanks to Sam the general manager for taking the time to ensure my father and I felt completely welcomed. Great service that puts other hotels and other countries to shame. A lot of mosquitoes but they are everywhere on this island :) nice staff that helped us with our night lamps that weren’t working. Standard breakfast but perfect view. Nice and clean pool and beach area. Massage on the beach! Super nice! I would come back! Take a room here every year for the Regatta...it’s a home away from home. Rooms are basic but clean and staff friendly. Lawana own this resort now for a few years...they put the pool in but I cannot understand why the restaurant and bar shuts at 6pm!? 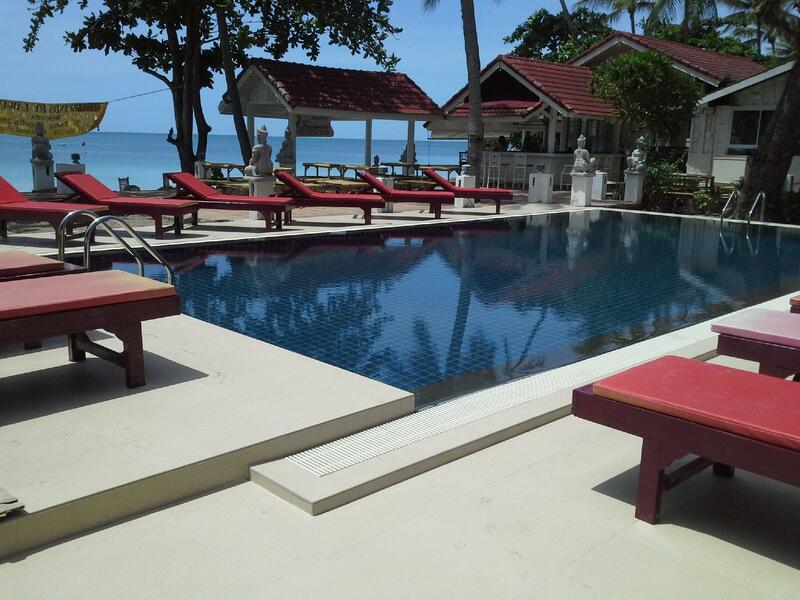 Pros: good swimmable beach, large enough pool, friendly staff, close to everything on Chaweng street (food/massage/7-11/etc. ), convenient car/motorbike parking, nice garden, good cleaning outside and in rooms. Pool and restaurant are facing the beach. From sea view bungalow you can actually see the sea and sunrises, and you have direct pool access. Most guests were older German folks, not too loud. The staff occasionally brought free shakes in the afternoon and once threw a free cocktail party - a pleasant surprise. Cons: restaurant closes at 6-7 pm, and the same happens in all nearby resorts. The beach is dark and deserted at evening, you have to walk like 15-20 minutes to north Chaweng to have a drink at beach with music/fire show/people going by. Poor breakfast selection. Shower gel/shampoo very bad. Too few pool beds. Beautiful resort and room. Stuff are very friendly. We love to stay at this resort. We will diffinately come back to stay again. For me the location was perfect, a 20 minute walk to the action, which means it is quite there at night. The Seafood Walking market is out the front door, so there are many choices for meals. The staff is lovely and very accommodating. I wish there was an asian breakfast and the western one is standard. If you are paying the upgrade for sea view find out the room only a couple have a true sea view most are more like a peak a book view. The sand at this part of the beach and the view is really spectacular, weather you choose to lay by the pool or directly on the beach the view is breathtaking. For hotel massage the prices are very fare, and worth every baht. I normally shy away from beach massages but these are very well set up and the staff are very well trained. I even noticed that locals come to this hotel for massage because of the quality and location. I enjoyed my stay at this hotel. 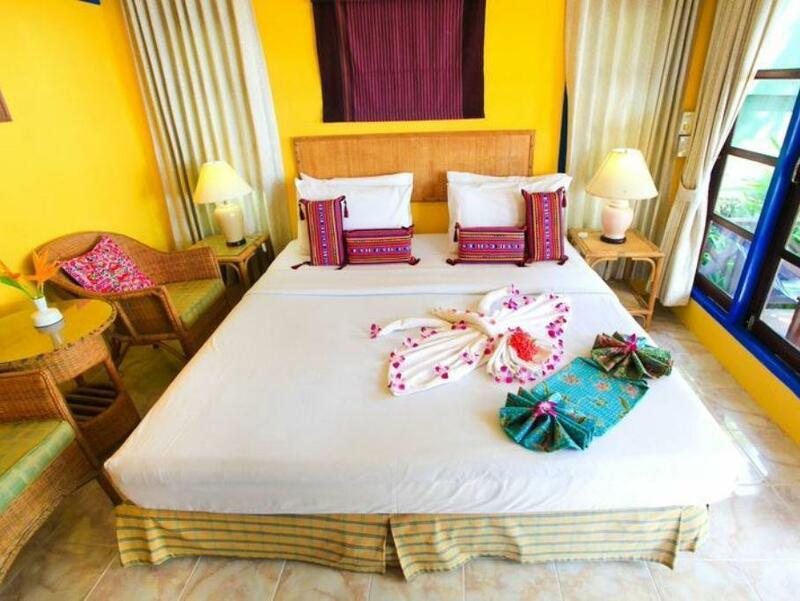 It is not 5 star but for the price and location offers good value for money. I found all the staff very helpful and friendly. Lovely gardens but remember to take mosiqto spray. This resort is cozy and very relaxing, the staff was very professionale and kind, the location quite is beautiful and quite. We stayed her e for o è week and had great time. The breakfast was ok compared to what we paied for the staing. Very raccomanded. We have stayed here several times over many years under both the old and new owners. It is basic, but clean and comfortable cottages in a great location. That is the main reason we continue to stay here. We will be back again. This is a great hidden gem, right next to Centara at a fraction of the price. Obviously not at the same standard of Centara, but the rooms are large and clean - the family rooms are huge. Grounds are lovely, pool is not huge, but a good size and position on the beach is fantastic. Not 5 star but neither was the price. 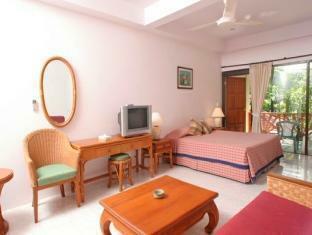 Well located in a garden setting on the beachfront with a new swimming pool, excellent friendly staff. Bungalows were basic but clean, with a large fridge and working air conditioner. First impressions of the reception and breakfast area made us worry that we had booked a run down place to stay, however the breakfast was good and and eating outside overlooking the beach was very nice. Had we been walking past looking for somewhere to stay we would never have picked Tradewinds based on the street frontage of the reception area. 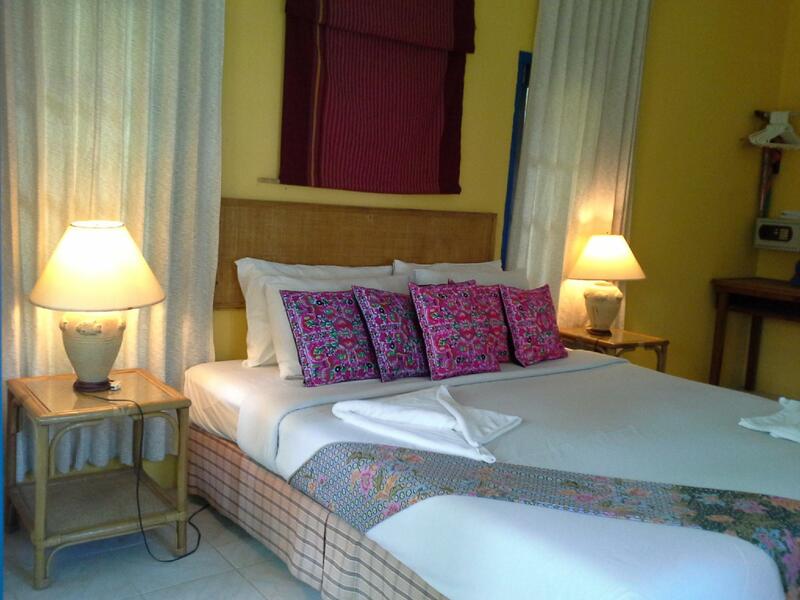 We had a lovely stay and prefer the bungalows to a larger more impersonal resort. This place is right in the heart of Chewang and close to all kinds of services. They have a beautiful of stretch of beach and a decent, if small, pool. There is a bar and restaurant by the pool charging reasonable prices for meals and drinks. The cocktails are watery; stick to beer. The included breakfast I found quite nice -- lots of fresh veggies, eggs to order, yogurt, etc. Healthy way to start your day. The staff were very responsive, helpful, and pleasant. You can get a massage right by the pool. The basic setup is bungalows around a garden; the garden opens into reception and the street at one end and the pool and then the beach at the other end. The garden is lush and beautiful (pro!) but also perfect mosquito habitat (con!). They were one of the relatively few places which had a family bungalow with three beds, which was one of the main reasons we choose it. The facilities were pretty tired and dated. Our bungalow had a musty smell that never really went away. The wifi was terrible. Considering what we paid, I would have expected the facilities to be a bit nicer and cleaner, but it was certainly fine and we didn't spend a lot of time in our rooms anyway. Overall, we are satisfied and would stay here again, but it's about time for them to invest a little bit in refreshing their facilities! I stayed 4 nights in a garden bungalow. It was a beautiful setting and the hotel is in an amazing location close to all amenities. Dan greeted me at the front desk and everyone was all smiles. I had a few beach massages and the girls were very fun (lots of giggling). The room was very clean, breakfast had everything you needed. Can't wait to come back.